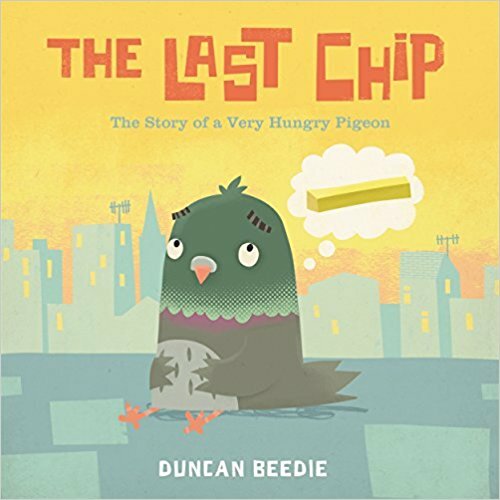 Our picture book pick this month has to be The Last Chip created by Duncan Beedie and published by Templar Books. In the story we follow Percy, an extremely hungry little pigeon as he flies from place to place desperately trying to find something to eat. Unfortunately Percy, is always beaten to the food by the bigger, tougher, meaner birds - a gang of greedy pigeons, a bunch of rather posh looking ducks and a giant pirate seagull! By the time night comes Percy is so weak with hunger, he is unable to fly anymore and plummets to the ground. He thinks he is in for another hungry night until a gentle gesture from a kind stranger leaves him feeling full again. This moving tale shows the incredible impact one simple act of kindness can make and it highlights the adversity some people face in their day to day lives in a way that is accessible to very young children. The brilliant illustrations add a touch of humour to vulnerable little Percy's plight without taking anything away from the importance of the story's message. It has been a great conversation starter about homelessness, hunger and poverty in our house. We also love that 10% of the profits from the sale of this book go to The Trussell Trust, supporting a network of 425 food banks across the UK, which provide emergency food to people in crisis in our own communities. 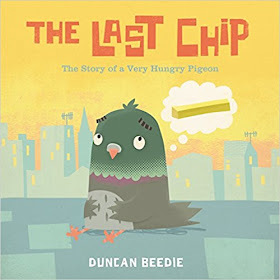 Duncan Beedie is quickly becoming one of our favourite author/ illustrators as The Last Chip is not his first book to tackle big issues concerning the world around us. The Lumberjack's Beard is another fantastic story with an incredibly important message about the environment and the impact of deforestation on wildlife. 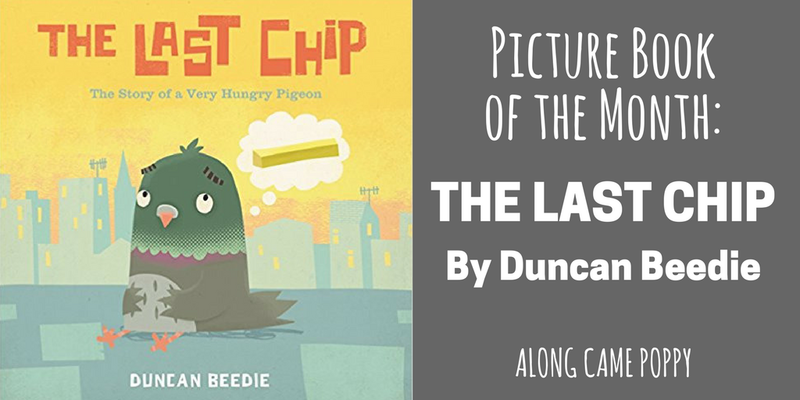 We can't wait to see what other picture book gems Duncan has up his sleeve! We were lucky enough to win a review copy of this book through Toppsta. Toppsta is a fabulous website where you can sign up and enter giveaways to win new books in exchange for reviews. All opinions are as always our own. This sounds like a quirky story with a very important message too. Love that it's about a pigeon and a chip, not quite the natural beauty of most animal stories - definitely more of an urban edge to it! It's great that a percentage of the profits goes to support food banks. I love tales like this that teach young kids about kindness and compassion. Aww this book sounds so compassionate and such a lovely story. I’d love to read it. Will defo checkout and hopefully sign up to Toppsta too.